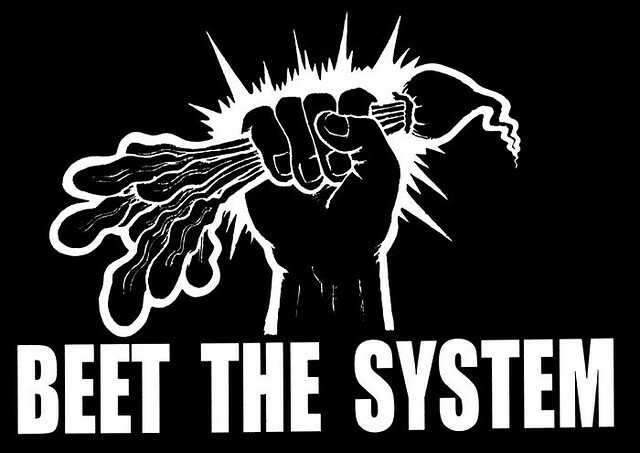 Food Justice | Advocating for sustainability and environmental justice. 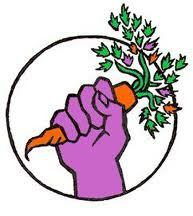 Since Fall 2012, Sustainable Trent has been involved in the struggle for food justice at Trent University. We are demanding that student voices be heard and making it clear to the Administration that the time is now for fundamental change in food services at Trent. 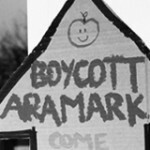 We started hosting Boycott Aramark Free Meals in early 2013, for students to come together to simultaneously Boycott Aramark and say no to corporate monopoly on our campus’ food while supporting local, sustainable food systems and movements. For students living on residence at Trent University, it is mandatory to purchase a meal plan from Aramark, and despite the deceiving language of “flex dollars”, this money can only be used at Aramark facilities, excluding the Seasoned Spoon Cafe, the Ceilie and the Planet North. We have been launching FREE MEALS to protest the injustice of Aramark’s monopoly and the detrimental effects of the unsustainable food system it thrives within. We know how students feel about Trent’s food services through countless conversations with Trent students but also through the TCSA’s document “A Raw Deal.” The result of surveying and consulting with 661 students, the report found that 97% of respondents were dissatisfied with the current food services. The TCSA produced a list of recommendations for the University to implement in its RFP. The list is included below. Since this Raw Deal campaign closely aligned with our vision of what needs to change with food on campus, ST decided to mobilize our resources to support it. This was an important decision because we chose to do so in the nature of collaboration rather than creating something new in order to get more credit. We also began to organize our own events, wanting to outreach to more students and raise awareness in creative ways, and came up with the idea of hosting free meals for students to Boycott Aramark. The idea of organizing free meals and potlucks to protest Aramark’s monopoly is not new – we decided to take it to another level. After calling a meeting with the TCSA, OPIRG, and Trent Active Minds to discuss the idea, ST planned to provide four free meals for Trent students: one for each College. The Arthur article “Stand Up for Food Justice, Eat Free Food” (posted on this website) provides some good background on the free meals. Each one drew a range of between 100-200 students. The grand finale in the Champlain Great Hall attracted over 200 students; every table was packed. The past couple years have been very important in terms of mobilizing around food issues on campus, and advocating for food justice for Trent students and for the many folks affected by our unjust global food system. Trent has been a site of food-related activism for many years now; back in 2005 students protested Aramark’s corporate monopoly with “illegal potlucks.” Student initiatives such as the Seasoned Spoon cooperative cafe and the Trent Vegetable Gardens have begun the work of creating alternatives to Aramark. Aramark Canada, the food service provider at Trent University, enjoys an almost full monopoly on food services on campus, with the exception of the Seasoned Spoon student-run cafe, the Ceilie Pub, and the Planet North. Students living on residence are forced into a meal-plan contract with Aramark known as a “declining balance plan”, which means they can only purchase food at Aramark facilities. Aramark also has a near-monopoly on catering services. Food at Aramark is high-cost, low quality, and often processed. Much of it is shipped from far away and is mass-produced using industrialized farming, including factory farms, pesticides, and genetically modified organisms (GMOs). This kind of food negatively affects the health of Trent students, physically, mentally, emotionally and spiritually. There is a general lack of diversity and culturally appropriate foods as well. 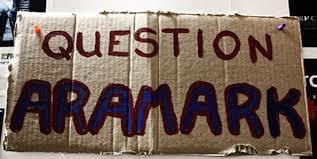 Aramark’s contract, which was signed almost 15 years ago, was due to expire in the summer of 2013, and that is why this year has been so important in showing the University how much students want and need fundamental change in food services at Trent. The administration failed to implement the process of creating a Request For Proposals (RFP) for new food service providers in time, and as a result negotiated a one year extension of Aramark’s contract. While this prolonged contract was frustrating, it gave Trent students an extra year to mobilize and influence the RFP process. 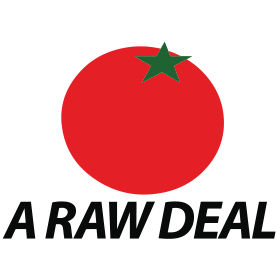 As a result of student pressure, 5 of the 12 Raw Deal recommendations were implemented in the one-year contract extension with Aramark. The Trent Food Services Review Committee is now reviewing bidders to provide food services, and will decide whether to replace Aramark with a new bidder or sign a new contract with them. We need to keep up the pressure on the Administration to replace Aramark with a just, fair and sustainable food service. 661 participants at Trent were asked “What would you like to see changed about food on campus?” Based on the results, the TCSA has made 12 recommendations for the improvement of food services at Trent. 1: Increase the number of autonomous food service outlets on campus excluded from primary food contract. 2: Put more “flex” in “flex dollars” by allowing students to use flex dollars at a diversity of food service outlets across campus and in Peterborough. 3: Ensure that all eating areas and cafeterias are common spaces and are accessible without financial cost. 4: Make nutritional information and ingredient lists available online for all menu items. 5: The food service provider must ensure that all students, faculty, staff, and visitors are able to access fully nutritional meals regardless of their dietary constraints. 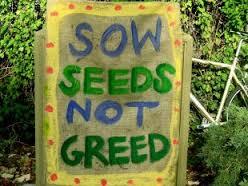 6: A Charter of Student Food Rights be developed and implemented with broad pan-campus involvement. 7: Potential food service providers must agree to work with elected student representatives and the University, in consultation with local stakeholders, to develop a local procurement policy. 9: Ensure that whenever classes are being held, students have the opportunity to eat on campus both before and after their classes. 10: Develop a centralized location to post food-related information. 11: An investigation into the impacts of food served on campus to health be conducted.